This is not a scene from Kung Fu Panda 3. This discussion happens every Fall quarter at Foster, as new MBA students get to know their teammates and the skills they bring. Most of us arrive here with some experience in Microsoft Office – and plenty of us crunched our way through big Excel spreadsheets for a good chunk of our 20s. And we definitely use it during the MBA as well as after. So Foster’s MBA Strategy Club got together and started an Excel tournament to settle “who the best” was. This year, during the 2nd Annual Foster MBA MSFT Excel Tournament, we even got a $350 sponsorship from Microsoft for our efforts. For the second year in a row, our Excel-savvy MBA students competed against one another in a multi-event skills challenge. Like a (very nerdy) decathlon, participants took on a series of timed events, focused around specific MBA-relevant skill areas. When the dust cleared, Yuvika Kedia of the MBA Class of 2016 stood triumphant! As a certified Chartered Accountant, with stamps like Ernst & Young India and Amazon on her resume, and as an all-around expert – she won one round handily and came close in the remaining two. The Foster MBA Strategy Club exists to give its members the problem-solving skills they’ll need, out there in the business world. We appreciate Microsoft’s sponsorship – and look forward to next year’s event! Prior to Foster, Peter Kazarian was a lifelong Californian and veteran of the LA/SF digital/ad agency scene. As a digital strategist, he focused on web strategy, e-commerce and database-driven marketing for major nonprofits like the American Red Cross and the City of Hope cancer treatment center. After winning a few industry-specific awards, he came to Foster to move fully into consumer marketing on behalf of for-profits. He really enjoys his UW education and bonding with classmates and alums, and he’s going back to Starbucks HQ doing Brand and Channel marketing after graduation. When not networking or studying, he spends his time cooking, hiking, and going deep in the blogosphere. And trying to adjust to the PNW’s weather and lack of Mexican food. Hello Everyone! I'm new and want to know more about foster applicants procedure, so please help me through telling about admissions committee? What specifically would you like to know about the Admissions Committee? Thank you very much for providing free video that is awesome and valuable. On Saturday, June 11, the 2016 Commencement for the Foster School of Business took place underneath characteristically cloudy and drizzly Seattle skies. But inside Meany Hall, the sun was shining brightly as over 200 Full-time MBA, Evening MBA, and PhD students were joined by faculty, staff, friends, and family to celebrate the successful completion of their degrees. Meet Josh! Born and raised in Las Vegas, Josh Anderson is what we affectionately refer to as a “Double Dawg,” having attended UW for both undergraduate and graduate school. Before Foster, he worked in quality assurance as a test engineer for Emulex Corporation and Fluke Corporation. Josh is the 2016-17 Foster MBAA president, and when he’s not busy with those duties or class, you can find him walking the streets of Ballard with his dog, Bowler. Why did you decide to go to business school? Working in factories made me really curious about how much we charge for products, how much it costs to build products, and how complex the manufacturing process has become because of globalization, outsourcing, etc. I realized that I loved talking about the companies and their strategies more than about the products that they were making. I enjoyed being an engineer, but I enjoyed it more as a hobby than a day-to-day job. That’s when I realized I should get an MBA. What’s your favorite thing about living in Seattle? Originally it was the local music scene, but now it’s more than that. The laid-back yet really intelligent atmosphere vibes well with me, and it’s grown to be home over the past 12 years. I actually had to move away for two years because of a job, and it killed me. On a whim, I just quit my job and moved back here because I just missed the town so much. Why did you choose Foster? I have a friend who is a year above me, and I learned about the program from her. Foster seemed to be a “roll up your sleeves” and “get to work” program with really great people which is what I wanted. And, I’m happy to say, I have found that all to be true. The people in our class are amazing: friendly, happy to help out, and eager to work hard. I’m just thrilled with the school and will be sad the day I graduate. What’s the MBAA? The Foster MBA Association manages and monitors the issues that matter most to our student body –diversity, international student affairs, career services, academic affairs, etc.—as well as coordinates large scale social events such as graduation. We have 12 vice presidents who focus on a specific interest, and 3 senior VPs, with myself, who manage and coordinate the 22 clubs, the budget, etc. Why did you decide to get involved? When I joined the program, I knew that I wanted to throw myself into it and get really involved. I decided to run for a first year representative position, which is a voting member of the MBAA. This exposed me to a bit of everything and was a great opportunity to be a spokesperson for the class. I loved this experience, so I decided to run for president to continue working for the class in this capacity. Favorite class at Foster? Finance. Professor Gilbert is a very serious guy who takes his work very seriously, but at the same time, he has no qualms about having a great time while doing it. I really appreciate that. He holds people to a high standard. Favorite activity so far? The Whistler trip! (Every year after Fall Quarter finals, students take a group trip to Whistler, B.C. to celebrate the end of the quarter and kick off the winter break.) I spearheaded a trip to a Scandinavian bathhouse while there, and I found myself at this amazing spa, sitting in the middle of the woods, snow falling all around, in complete silence. They actually made you sign a no-talking agreement! It was an amazing way to decompress from the Quarter, and the whole trip was a great experience with my classmates. If Foster had a school song, what would it be? “Walkabout” by Atlas Sound. The opening lyrics of “What did you want to see? What did you want to be when you grew up?” really speak to the opportunities at Foster, and that the door is wide open for you to do something totally different. You just need to work for it. The rest of the lyrics talk of taking a leap and not looking back, “To go ahead and change your life without regard to what is said”. When you walk into Foster you are making a decision to change your life and dedicate yourself to becoming a better leader. Why should a student interested in the healthcare/biotech field choose Foster? Foster is at the pulse of innovation within the healthcare/biotech/global health space. As a research powerhouse, the University of Washington is a catalyst for technological disruption in these fields, and as such, there is a dynamic start-up scene for students to get plugged into. We have access to world-class hospitals and groundbreaking research institutions, and as Foster MBAs, we are able to connect with and learn from the experts leading these organizations. In addition, Seattle is home to both the Bill and Melinda Gates Foundation and PATH and every year, Foster MBAs intern and research with these important global health players. What type of opportunities exist for MBAs interested in the healthcare/biotech space? Just like other industries, this field needs typical MBA functions, such as business development, finance, marketing, strategy, and operations. There are local, nationwide and global opportunities for Foster MBAs to serve in those functions within the fields of biotechnology, hospital administration, healthcare consulting, pharmaceuticals, medical devices, and global health. HCBA’s mission is to develop and channel MBA talent into businesses working to improve human health and well-being. Students rated us as one of the best clubs at Foster this past year, and we aim to continue that tradition by providing even more opportunities to learn about and connect with these dynamic industries. We host skill-building workshops, numerous networking opportunities with alums and industry professionals, tours to local companies and organizations, and a CEO speaker series. And of course, while doing all of this, we also aim to have fun. Business school allows students to have experiences that otherwise wouldn’t be possible, and we hope to leverage that by providing unique opportunities to explore the field while also connecting with classmates and professionals who share the same passions. The HCBA board is composed of talented individuals with professional backgrounds in various sectors covered by our association, and we are eager to see more of our peers get excited about this space. We encourage students to reach out to any of the HCBA board members, and we are very open about coaching them through transition into the field and sharing contacts. What career prep/networking is available from HBCA? Every year we host skill-building workshops with local companies in the space. This upcoming year we will be hosting a finance strategy workshop with Providence/Swedish, a healthcare marketing workshop with Seattle Genetics, and a healthcare consulting case prep workshop with the Foster Consulting Society. We also hold an internship panel of the 2nd year students who spent the summer interning within the field, and we plan to put on a Resume/Coverletter workshop for those interested to tailor their stories to the healthcare/biotech/global health space. In addition, we are planning to release the first edition of the HCBA Resource book to all of our club members this Fall, which will have an abundance of valuable career prep information. Networking happens at a lot of our events, including workshops and site visits. We hold an annual HCBA social with the local professional community specifically dedicated to networking and we will also have alums come to the club happy hour info session during PRIME (the orientation week for incoming students). We also co-sponsor several Meet The Firm events throughout the academic year. The networking really starts at the very beginning of the program! Any site visits/treks planned for this year? Right now, we are planning a Bill & Melinda Gates Foundation Tour and Alumni Panel for the Fall. In the spring, we will go on a Philips Ultrasound Manufacturing Tour which is always great because it aligns with our core Operations class. Students get to see lean process in practice and see what we are learning in the classroom implemented in a real way! We also are planning to host an ECG management consulting visit and a Frazier Healthcare venture capital visit to further explore opportunities in those two fields. Outside of HCBA, what other opportunities exist at Foster within the field? Foster has several classes focused on healthcare. There is the Global Health Business Models course, taught by Emer Dooley, and a healthcare innovation practicum which allows you to satisfy one of your required practical experiences within the sector. Every winter-quarter, there are usually healthcare-focused applied strategy projects first-year students. For my applied-strategy project, I worked on a project with GroupHealth Hospitals, and there was also a group working with Providence. The ever-popular Global Business Forum has a global health focus for the Fall 2016 quarter. I still remember the time that I fell in love with the University of Washington. I had flown in on an impossibly sunny January day in 2014 to attend a “Preview Weekend” of the Foster MBA program with fellow admitted and prospective students, and the President of the Foster Veteran’s Association invited me out for a coffee chat. We discovered that we had both served at the same base in Afghanistan but had missed each other by a few weeks, and we ended up talking for almost 2 hours. After that great conversation, I was convinced. I decided to explore the area and eventually found myself at Drumheller Fountain at sunset, where I was met with the same awe-inspiring view that moved a century of UW students to become more than they thought they could be. At the center of this view was Mount Rainier, the most prominent and heavily glaciated peak in the lower 48. The active stratovolcano rises over thirteen thousand feet from the surrounding terrain to a peak elevation of 14,416’ and its’ imposing mass can hardly be captured in photos. Imagine over nine Empire State Buildings built on top of each other with nothing else around it for hundreds of miles in any direction, and is so massive that it creates its own weather. I could hardly imagine what it was like to climb it, though I knew that many climbers attempted the summit every year with the help of paid guide services who did much of the heavy lifting. I also knew that two teams of Foster MBA students successfully reached the summit by themselves and raised over $13,000 for the Challenge for Charity in 2011 and 2012. Seeing Mount Rainier in person put that achievement in perspective for me, and I knew that I wanted to help keep that tradition going. I wanted to be a part of a program that inspired its students to be audacious and take ownership of their experience. I immediately pulled out my checkbook and signed the deposit check that would confirm my attendance at the full-time MBA program at the University of Washington. The 2011 and 2012 MBA summit teams weren’t the only UW students to be inspired to climb higher. Several of America’s finest alpinists saw the same dramatic view of Mount Rainier from Drumheller Fountain and left to make their mark on the mountaineering world. Fred Beckey left UW with a degree in business and promptly became one of the most prolific climbers in North America, putting up numerous first ascents in the Pacific Northwest and beyond. During World War II, when the US Army needed to assemble a mountain assault force to evict Hitler’s soldiers from the Italian Alps, they called Beckey to help train them. Ed Viesturs arrived at UW as a Zoology student with dreams of someday climbing the great peaks of the world, and cut his chops on Rainier as a guide before becoming the first American to summit Everest without supplemental oxygen. Henry Landes (Prominent geologist, UW President and first president of The Mountaineers), Edmond Meany (Professor of Botany and History and the second president of The Mountaineers), Steve Swenson (class of ’77 and served as President of the American Alpine Club), Kitty Calhoun (MBA ’93 and founder of Exum Mountain Adventures)…the list goes on. However, when I arrived at Foster in the Fall of 2014, the Foster MBA flag had not reached the top of Mount Rainier in several years. 2015 didn’t look very promising either, as the Pacific Northwest received a record low snow year, which threatened to create even more challenging conditions on Rainier. What separates Mount Rainier from other mountain peaks in the US is its dramatic prominence and glaciated terrain, which creates a set of dangers that aren’t found on other mountains of comparable elevation. Early in the season many crevasses (some of which are over 300 feet deep) are hidden underneath a layer of snow that softens under the sun. It’s not uncommon for people to cross bridges made of snow over these crevasses, and also not uncommon for people to fall through these bridges as the snow melts under the relentless summer sun. The melting snow also releases dangerous missiles of rock and ice, which can be heard thundering down the mountain at all times of the day. The mountain also creates its own weather, which threatens to turn a calm and clear summer day into a blender of fog and 100 mph wind gusts. Combined with the altitude, Mount Rainier turns back half of the people who attempt to attain its summit, and has killed even the most prepared and experienced teams. During Ed Viesturs’ time as a Rainier guide, he had turned his team around on a particularly icy day on the mountain and was heading back down when he saw another person attempting the summit alone. Viesturs cautioned the man to be careful and warned of the challenging conditions, to which the lone climber replied “It’s only Rainier.” The two continued on their separate ways, but shortly after, Viesturs watched in horror as the solo climber slipped and fell three thousand feet to his death. 2014 was also one of Mount Rainier’s deadliest years in recent memory. That summer, a six-person team of professional guides and seasoned clients attempted to achieve the summit of Rainier through a highly technical and challenging route known as Liberty Ridge. It’s not clear what happened next, but at some point the party was beset by severe weather and forced to set up camp on an exposed ridge. Several days later, a helicopter found the climbers’ GPS signals and gear from their campsite among avalanche debris several hundred feet from their last known location. All six climbers perished. That same year, several Foster MBAs attempted to summit Rainier over two days but had to turn back. Weather conditions over the next year and a lack of motivation prevented an organized Foster MBA climb in 2015. However, the call of the mountain is relentless, and it wasn’t long before another Foster MBA team would form. A fresh year brought a new crop of MBAs who were eager to make their own mark on the program, led by Jason Matta (’17), an experienced mountaineer with five Rainier summits and a recent summit of Denali in his climbing resume. This time, we would return to the original intent of the annual climb: we would openly recruit for a team to attempt the summit to raise funds and awareness for charity. It turns out that there was no shortage of Foster MBAs who were interested in joining the Rainier climbing team. We had former Olympians, ski patrollers, professional musicians, programmers, consultants, and more get involved in the training program. However, at the end of the five month program, only eight people self-selected to remain on the final roster. We wound up with an eclectic mix of veterans from the Army, Navy, and Air Force and civilians with backgrounds in professional sailing, international development, public relations, and law. The Foster MBAs who made it through the program had to sacrifice mornings and weekends for training hikes, team workouts, and field trips. Rather than study for exams or get precious hours of sleep, these team members woke up early to hit the gym or run laps around Green Lake. Instead of attending an important networking opportunity or practicing for case interviews, they went to the mountains to practice how to rescue an unconscious team member who had fallen into a crevasse. Jason Matta (’17), Anna Bacheller (’17), Chris Burd (’17) and Andrew Rieck (’17) on top of Mt St Helens, great training for Rainier! In addition to the substantial time commitment, there was a substantial financial burden from each climber. Everyone needed to help raise funds for charity, and they would also need to buy or rent all of their own gear for the climb. It’s still incredible that people would devote their scarce time and resources to be a part of this climb, and put their safety on the line to attempt to scale the mountain together. As the training program came to an end, the team refocused their efforts on fundraising while simultaneously cramming for finals and the second-years on the team wrapped up their MBA experience. Thanks to the efforts of the team and for everyone in the MBA program, we successfully raised over $4,200 for Challenge for Charity. With the support of our friends, family, and classmates, we were ready and filled with purpose. Unfortunately, we had one climber who got sick the week of the climb, so only seven of us made the attempt. Finally, on June 4th, after many months of planning and preparation, we would be tested on Mount Rainier. I still get teary-eyed thinking about the sunrise from the edge of Rainier’s crater rim. We had the entire place to ourselves, and proudly unfurled the Foster MBA banner at the tallest point in Washington. We now understood what it feels like to stand on top of Mount Rainier and look northward towards Seattle, towards Drumheller Fountain and those wide-eyed students who dreamt of someday climbing mountains of their own. It was the culmination of the team’s hard work over the last 6 months, but for me the feeling was bittersweet. As a second-year, this would mark the end of my Foster MBA experience. Over the last 18 months, I’ve learned so much about myself and gained invaluable tools to understand and solve complex challenges. I’ve been tested by exams, take-home papers, and the alpine slopes of the Cascades. Foster gave me the freedom and the support to explore new careers and my peers challenged me to broaden my horizons. Most importantly, I’ve made some lifelong friends and connections that I had never thought I would find outside of the military. I could not have had the same intensity of experience at another MBA program. Foster’s proximity to awe-inspiring outdoor experiences, sense of community, and program support are unmatched. Other MBA programs may offer more structured opportunities in outdoor leadership that include professional instructors and guide services (and a hefty price). However, I believe that experiences are more powerful when you rely on your own wits and the strength of your team, and when you own the consequences of your actions. Those experiences are truly life changing, and I’m glad to have found that experience after writing that deposit check at Drumheller Fountain. I got exactly what I was looking for out of the Foster MBA. For all the future Foster MBA candidates, I hope that you find what you’re looking for too. Nelson Tang (Class of 2016) is an 8-year Air Force Veteran who will be starting a career in corporate finance at Intel in August 2016. In the meantime, he might be found exploring other mountains in the Pacific Northwest after Rainier ignited a love for the alpine environment. About the author: Jeremy grew up in New Jersey and studied film at American University. Before coming to Foster, he worked in TV production and post production for Discovery and Animal Planet. Since joining the Foster MBA class of 2017, he has served on four club boards, interned with a robotics startup, judged a case competition, and formed lifelong friendships. He is not going to tell you which of these five categories he thinks he falls into. I’ve just finished my first year at Foster and I am still blown away by so many things: Our wonderful professors, the incredible opportunities we have, and how much we’ve all learned in such a short time. Most of all, I am in awe of my incredible classmates. I learn something new from them every single day. There are 128 unique individuals in the Class of 2017. It would take me months to lay out exactly why each of my classmates is wonderful. But, broadly speaking, I have met five different types of genius at Foster. Who they are: Every MBA student becomes a calendar wizard very quickly. The Organizational Genius is a wizard of the calendar, a guardian of the Gantt chart, a productivity paladin, and a champion of color-coded lists. Of the five types of genius on this list, this is the easiest one to spot. What you can learn from them: There are a lot of tangible skills you can pick up from an Organizational Genius. It’s easy to get the “what” and “how” of productivity from them. If you ask for templates, they’ll be more than happy to both build them for you and show you how they work. But the single most important thing you can learn from an Organizational Genius is good habits. When you’re on a team with an Organizational Genius, offloading logistics and time management to one person — especially when that person is willing — is extremely tempting. Do not waste the opportunity to learn why they do the things they do. Take an active organizational role. The Organizational Genius can help you on your journey to productivity and the team environment is excellent at forcing you to stick with your new habits. And I might say you’re in the ballpark. Yes, most Social Geniuses are great networkers (although many of them defy the type-A stereotype). They might be incredibly popular. But confidence and charisma do not make someone a social genius. What does? Listening. Social Geniuses understand everything you say and everything you don’t. They are masters of body language, tone of voice, and subtext. They demonstrate emotional awareness — of themselves, of individuals around them, and of the team’s collective emotional state. What you can learn from them: The value of emotional awareness and excellent listening is self-evident, but our listening habits are nearly automatic. It can take years to change this behavior. One of the best ways to start is to find small ways to learn and improve. When you work with your team, set limits for yourself that force you to listen — like hitting a personal mute button for one minute at a time or prompting a teammate to speak if they haven’t contributed during a meeting. Ask questions. Focus on drawing out your teammates instead of forcing out your own ideas. In addition, make a point to have conversations with Social Geniuses — or watch them in conversation with other people. Notice where they look and how they physically respond to new information. The more time you spend developing yourself socially, the better you will be at identifying emotional soft spots. As much as that skill will benefit you in your professional life, it can have an even greater positive effect in your personal life. Who they are: Quantitative Geniuses seem relatively straightforward: they command numbers. You could even say they commune with numbers. And those who approach numbers with religious devotion need to be exceptionally careful to consider problems from many different perspectives. But even here, there is ambiguity. Some quants understand the Capital Asset Pricing Model deep in their bones but just don’t click with financial accounting. Others are world class mental mathletes and Excel novices. It doesn’t matter if you can see numbers flying around in space. If you’re the only one who can see them, how valuable is your skill? That’s why the true hallmark of a Quantitative Genius is the ability to explain their work to everybody else — and why the most effective quants can come from the most unexpected backgrounds. When the rest of the team is flummoxed by a finance case, this person’s clear answers, thoughtful explanations, and creative analogies show how seemingly-disparate pieces fit together. What you can learn from them: This is about more than hard skills like financial modeling, linear programming, or advanced statistics. Your classmates can help you with these, but your professors are bona fide authorities on these subjects. The Quantitative Genius uses numbers to weave stories. They hold your attention by tightly structuring that story with a beginning, a middle, and a satisfying end. It may be counterintuitive, but the biggest thing you can gain from spending time with a Quantitative Genius is confidence in your ability to relate complex ideas as digestible stories. Once it starts to click, you may realize you had quantitative superpowers all along. You might not get to Stephen Hawking’s level, but you can at least approach They Might Be Giants. Who they are: This is the most difficult of the five to pin down. “Creativity” itself is nebulous and open to interpretation, especially in the context of business school. It can be difficult to express yourself in an environment with so many opportunities to go wrong — even in situations where ambiguity is expected. And yet the Creative Genius manages to stand out because they speak, write, and otherwise express themselves with a voice that is unmistakably their own. They propose ideas and answers that are neither safe nor easy. Their ideas don’t always work out in practice. They are loathe to go “by the book.” But when they hit on something, they hit on something big. What you can learn from them: The Creative Genius was not born with that voice. They developed it over many years — and they likely had help in the process. There are well-worn methods and tricks that help us unlock our creative potential or look at things in a different way. The Creative Genius wants to help you unlock that potential. They can teach you the right questions to ask and when to ask them. And since creative problem solving is in high demand and low supply, these could be some of the most important questions you ever ask. Who they are: Why do we believe in people? Why do we follow them? Is it because they’re impossibly smart? Impeccably organized? Charismatic and wonderful to be around? Possessed with creative vision? I would argue that none of those traits are sufficient to motivate people. In fact, the Motivational Genius doesn’t rely directly on skills; often, they’re not even aware that they are doing anything exceptional. They believe they’re just living their lives, working hard, and doing what they can. And that’s the key. Being a Motivational Genius is about having strong, authentic values and living those values to their fullest every single day. For many people, this is exhausting. The Motivational Genius accepts the challenge. What you can learn from them: In keeping with what characterizes them, the best thing you can learn from the Motivational Genius is the power of constantly examining your personal values. Are your decisions internally coherent and aligned with what you want out of your experience? What do you want out of your life? Spend enough time with the Motivational Genius and these questions will become second nature. You will become a more confident decision-maker. And if you’re truly confident in your decisions, people will pick up on that and respond to it. I use the word “genius” affectionately, but, with extremely rare exceptions, nobody possesses the unique mental powers this honorific requires. I believe everyone exhibits brilliance in at least one of these categories. These geniuses exercise their talents so naturally that it’s easy to forget how hard they worked to build their skills. This is the best opportunity you will ever have to pick up these skills in a safe, supportive environment. Use it. Learn from the best. Then pay it forward and share your genius with others. As the largest MBA student club on campus, the Foster Consulting Society (FCS) “helps Foster MBA students learn about, prepare for, and secure high quality career opportunities in consulting.” FCS also aims to build the Foster MBA program as a major pipeline of consulting talent on the West Coast. With many students interested in consulting as a post-MBA career, FCS is a crucial piece of Foster’s strategy for producing top consulting talent year after year. This year, FCS is led by President Anna Bacheller and Senior Vice President Audrey Almy. Bacheller, a graduate of Whitman College, spent her years before Foster as a strategic lead on client-facing marketing and communications projects at several firms in the Bay Area. Almy, a Pacific Northwest native, received her undergraduate degree from Tufts University and completed two years with Teach For America in Harlem. After that, she then worked for a healthcare technology firm in New York where she focused on client relations and training and development. Both Bacheller and Almy came to business school to pursue consulting and both spent the summer interning with Accenture. We sat down with them to hear more about FCS and how it achieves the mission of preparing Foster students for the consulting field. What kind of events does the Consulting Society put on throughout the year? Consulting Society hosts a large range of events throughout the year to help students learn more about the consulting profession, meet firms and develop connections with consultants in the Seattle area, and prepare for recruiting at consulting firms. If we went through the whole list, it would take up this whole article! But some of our favorites, and by far the most helpful events to prepare for recruiting are the Case Interview Workshops and one-on-one interview prep. Second year students dedicate their time to share their skills and and knowledge with first years in order to make the case interview process less daunting. On the other end of the spectrum, I loved the Winter and Spring Socials last year. These events help students make connections with local consultants and alumni who are valuable people to know when going through the recruiting process at different firms. We will be holding both of these again this year as it’s such a great way for students to make connections with firms in Seattle for the purpose of both internships and full time recruiting. How does the Consulting Society help students with career development? The Consulting Society provides a great deal of help with recruiting, but also helps students learn about the options that a career in consulting can provide. Formal events in the form of workshops and office hours with second year students help first years learn about the different firms in the area. The informal help given by second year students is also extremely valuable; many students are willing to take their time and share their experiences with recruiting, interviewing, and working as an intern. What should first years interested in consulting do between now and when they start business school? Read a book about case interviewing. (A simple Google Search will yield many options, but Mark Cosentino has some winners.) Sit down and write a one paragraph answer about why you want to work in consulting. Being able to explain to people why you want to work in consulting or why you will be good at that job is crucial. This year, WiB is led by President Alexis Perlmutter. Before attending Foster, Alexis specialized in digital strategy, communications, and strategic planning for two national nonprofits. At Funders Together to End Homelessness, she worked with the Bill & Melinda Gates Foundation, Raikes Foundation, and other national philanthropies to develop communications and public affairs programs to prevent and end homelessness. At the National Immigrant Justice Center, she directed national policy and digital advocacy efforts to reform America’s immigration system. This past summer, she was a product management intern at Amazon. Her passion for facilitating a broad dialogue about the role of women in leadership positions and the role of unconscious bias in the workplace drew her to the critical work of WiB. We recently sat down with Alexis to hear more about the work WiB is doing in the Foster community. What activities does WiB host every year? WiB hosts interactive workshops once per quarter to help students address The Confidence Gap, become better negotiators, and effectively manage diverse teams. We host networking events to connect current students with women leaders in the greater Seattle community. WiB also believes in paying it forward, so we facilitate a mentor program with the Undergraduate Women in Business club to set up future business leaders for success. What truly sets WiB apart, in my opinion, is that we also play a critical role in supporting the personal development of Foster students. We facilitate small discussion groups to talk about balancing work and life commitments and confronting unconscious bias. We host events for our active group of #He4She members, or male students who want to be better allies for women leaders. And we host informal social gatherings to help students unwind and reboot during the stressful times of business school. Why is your club so important within Foster environment? I’ll speak from my own experience: After many years in the nonprofit sector, I was coming to business school to change careers. I was used to working with and for women, and frankly, I took that built-in support system for granted. When I came to Foster, I realized that I was in the minority. I was suddenly working on teams with people who came from very different backgrounds, spoke different languages, and approached team assignments in different ways. I needed to find my voice and I found the most support in WiB. My story is just one of many here at Foster, and WiB actively seeks to empower these diverse voices. What other resources exists at Foster for women MBAs? WiB works closely with other diversity clubs at Foster, including Diversity in Business, Out in Business, Jewish Business Society, and Foster Veterans Association. Together, these clubs form the Council on Diversity and Inclusion, a group dedicated to promoting the value and individualization of diversity and to cultivate perspective-taking and respectful dialogue around issues of race, ethnicity, gender, sexual orientation, culture, religion, socioeconomic status, and physical abilities. To learn more about the work that WiB is doing in the Foster community, check out their website here. The post Clubs @ Foster: The Consulting Society appeared first on Foster Blog. 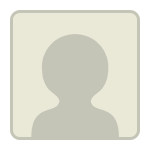 The post Clubs @ Foster: Women in Business appeared first on Foster Blog. About the author: Jessica Raasch is an MBA candidate in Foster’s full-time class of 2018. She is passionate about improving the ways in which businesses identify and develop future leaders, an interest she discovered during her pre-MBA career in finance and accounting. At Foster, Jessica is proud to represent the first-year class on the board of Women in Business and she serves as a mentor to students in the Undergraduate Women in Business Club. She is also a Forté Fellow and a Dean’s Merit Scholar. On December 7, I joined several women from Foster at Forté Mix It Up: Seattle. About 30 MBA women gathered at the event to network with other students and alumnae from Forté Foundation sponsor schools. While the mixer was a week before finals, I’m glad I made time to squeeze one more event into the fall quarter. Arrion Rathsack, Forté’s Associate Director of Student and Alumnae Relations, gave a brief keynote address. She spoke about the work Forté does to advance women into meaningful business careers. She also revealed that Amazon will host the next annual Forté MBA Women’s Leadership Conference right here in Seattle. So… what is the Forté Foundation? It’s a non-profit consortium of companies and business schools, working together to launch women into fulfilling, significant careers. The Forté Foundation aims to enhance women’s access to business education and career opportunities, and to create a community of successful women. Forté admits a small selection of Sponsor Schools who pass a rigorous application process. Foster became a Forté Sponsor School in the spring of 2016. All current Foster students are now eligible to join the Forté Foundation for free while enrolled at Foster. By joining Forté, students can access a rich curriculum of events and webinars, a host of career resources, and a robust network of companies and business leaders. If you’re not familiar with the Forté Foundation, visit their website to learn more. Also, if you’re a current Foster student, I encourage you to sign up for your free membership now. In my role as a first-year representative to Women in Business, I’ll be working hard this year to bring Forté’s resources to the women of Foster and to integrate Forté’s curriculum into WiB’s programming. Also, you may have heard that Foster awarded Forté Fellowships to 12 women from the full-time class of 2018. Looking forward, we’ll be presenting a series of blog posts to introduce each of the women from the inaugural class of Forté Fellows. Additionally, we’ll highlight some of the work they’re doing as representatives of Foster in the Forté Foundation. Stay tuned! Originally posted on the Foster MBAA Women In Business Blog on January 2, 2017. 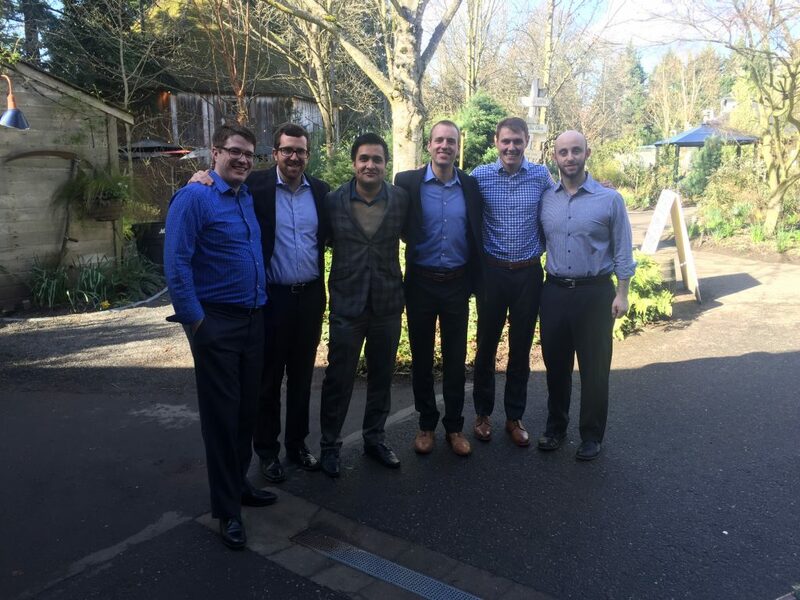 The post Foster MBAs Mix it Up with the Forté Foundation appeared first on Foster Blog. In September, 125 students from around the globe arrived at Paccar Hall, eager to jump right into their Foster MBA experience. Kicking off the program in the most Seattle-way possible, the new Foster MBAs were treated to a sunset dinner cruise around Lake Washington and Lake Union. Overlooking views of the Space Needle and Mt. Rainier, the homes of Seattle-business pioneers such as Gates, Bezos and Shultz provided an appropriate backdrop for this cohort of future business leaders. After their Welcome Cruise, the ‘18ers got straight to work. PRIME orientation allowed students to meet with academic advisors, network at club-sponsored happy hours, attend various student panels, and connect with faculty. Following this, JUMPSTART gave students a chance to brush up on the basics of accounting, finance, math, and statistics in all-day workshops with Foster faculty. Then the students began the first part of Foster’s Leadership Development course (LEAD), a three-day intensive course focused on developing individual leadership potential. On September 26, the rest of the university returned to classes, and the students began the quarter in earnest with the first set of the Foster required curriculum courses: Finance, Microeconomics, Accounting, and Marketing. By the end of the Autumn quarter in December, the class had earned their stripes. Between club activities, case competitions, firm happy hours, career prep, networking, and of course, studying, members of the Class of 2018 had rolled up their sleeves, jumped right in, and made their Foster experience an active, dynamic one. – Dan Gardner, Washington D.C.
“My major attraction to Foster was the right balance of academic rigor and hands-on opportunities for leadership development. The rigorous core curriculum coupled with the customizable 2nd year curriculum, provided me an opportunity to hone my technical skills and the option of exploring more than one area of Business for my MBA concentration. The post Meet the Full-time MBA Class of 2018 appeared first on Foster Blog. On February 26, theFoster Finance Society welcomed distinguished University of Washington alumnus David Bonderman, Chairman and Founding Partner at TPG Capital, back to campus to share his thoughts on private equity, and the broader business climate as part of the Finance Society’s Boardroom Speaker Series. The event was joined by student members of the Foster Finance Society, Dean Jim Jiambalvo, and Foster faculty. The post David Bonderman of TPG Capital Shares Advice and Experiences with Foster MBA Finance Society appeared first on Foster Blog. About the author: Jeff Olden is a second year MBA student concentrating in finance and strategy. Prior to the MBA program he worked as an engineering consultant specializing in energy analysis. Outside of work he loves skiing, running, hiking, golfing, and fly-fishing. Like my fellow classmates, I came into the MBA program with a foundation of great work experience and excitement to take my career in a new direction. I was an engineer in my prior life; I had enjoyed it, but I pursued the MBA because I wanted to gain a broader understanding of how businesses make decisions. The classes I took in my first quarter started building the knowledge I needed for my new career, but the applied strategy project in my second quarter was when I received my first opportunity to gain real, hands-on experience. At Foster, all full-time MBA students complete an applied strategy consulting project during their first year. The projects are a great opportunity to work on a real business case for one of the world-class organizations connected to Foster. There were projects with notable companies such as Boeing, Amazon, Microsoft, Google, Expedia, Providence Health, and Intel. Those interested in non-profits also had excellent opportunities to work with organizations promoting STEM education in minorities and helping empower lives through job-training. I was interested in pursuing a career in the technology sector, so I chose to work on a project for Intel. The project I selected involved market research, market sizing, and segment recommendations for Intel’s High Performance Computing division – computers being used for computationally intensive and big-data applications. We were tasked with identifying industry trends for big-data use-cases and determining the product-market fit for an offering Intel was considering developing. The project was very broad and ambiguous; it was exciting to be working on a real business case. The team we had access to at Intel was phenomenal. To give you an idea, our project sponsor and primary client was new to Intel, but she was a former McKinsey consultant with a PhD in Computer Engineering and over ten years of experience at the Director level within Microsoft. Her PhD dissertation had been on Neural Networks long before most of us had even heard of the term. Needless to say, we were working with some of the best minds in high performance computing. We dug into the project and soon learned that we had a very steep learning curve ahead of us and little time to complete our project. It was a true consulting project. We needed to come together quickly and leverage our combined strengths. One person on the team had a background in electrical engineering and was able to help us understand some of the basic terminology such as “software stack.” Another person had a background in finance and was more familiar with market sizing terms such as “Total Addressable Market (TAM)”, “Serviceable Available Market (SAM)”, and “Share of Market (SOM).” We also had team members with experience in health care administration, automotive, and engineering modeling; all of which were high-potential markets for the conceptualized product. The result was a team with many diverse experiences and a great combination of strengths. We just needed to figure out how bring it all together. Fortunately, a few of us had also worked as consultants in the past and we received additional training from Foster Alums that were now consultants with Price Waterhouse Cooper (PwC). We took care to define an appropriate scope, started identifying key criteria for success, developed hypotheses, and dove into the available market reports. It sounds cliché, but adding structure to the project really helped us define our direction and enabled us to move forward quickly as a team. We continued to charge through our market research, encountering some minor challenges along the way, but that was to be expected. We ultimately put together a presentation that provided the market size, product-market fit, and general trends for six potential markets. This was quite a feat to have accomplished in just a few short weeks having started with limited background knowledge. Presenting our final results to a group of 20 Intel employees was fun and exciting. We had developed a formal power point presentation, but we were interrupted with a question within the first minute of our one-hour presentation and the presentation became highly conversational – we had previously been warned this was typical of Intel presentations. We spent the entire hour on our toes, constantly answering polite but challenging questions. I’d be lying if I didn’t say it was also just a little stressful. No pain, no gain – right? In the end, the entire project was a great experience. We learned how to create structure to solve an ambiguous problem (a rite of passage for every MBA student) and gained experience on a real business problem. These experiences were an invaluable asset when it came time to begin interviewing for internships and later when it was time to begin my summer internship, which happened to be as a Sr. Financial Analyst Intern back at Intel Corporation. The post Foster MBAs Gain Hands-On Experience at Intel appeared first on Foster Blog. Choosing to get your MBA is a tough decision. Choosing where to enroll is often even more challenging. Foster’s spot has been climbing steadily in recent years, as its graduates enjoy strong job placement rates and high starting salaries. Nevertheless, it hasn’t commanded placement in the top 10. Many Foster students boast the necessary backgrounds and aptitude to land offers from these schools, but still choose to come to Foster. Pallavi Sharma and Jonathan Ng (both members of the full-time class of 2018) are two such students. Why did you choose Foster? It was a difficult decision. In addition to Foster, I was admitted to a top school on the East Coast. Depending on who is doing the rankings, it’s usually in the top five, and often in the top three. However, there were a few factors that really swayed my decision. Foster’s location in Seattle was a big draw, and it’s been a big strength since I’ve been here. You can network here; you can work on live projects with major tech companies. Seattle is the city of cloud computing — the city of AR and VR. In some respects, the Seattle ecosystem surpasses the Bay Area. It’s a really well-positioned city and very welcoming. Second, the people. I visited both schools, and I found that the students at Foster were more focused and more mature. At the other school, there was a definite party vibe. I’m having fun here, but I wanted a rigorous experience with teammates that were dedicated to learning the material. Finally, there were financial considerations. Here I can graduate without a loan, which would not have been possible at the other school, yet I probably would’ve taken the same job at the same salary. This summer, I’m doing my internship at Microsoft. I also had offers from Amazon and a venture capital firm. Those are probably the same opportunities I would’ve pursued had I gone to that other school. My mentor this year was the CFO of Amazon retail — that was an amazing experience. The people here are great, and Seattle has more to offer lifestyle wise. Really, it was a mix of both practical and emotional factors. Practically speaking, it came down to location of the school, the companies that were located nearby, and the employment report. Although the other schools I had offers from in the Midwest and West Coast were ranked in the top 10, they actually had worse statistics in terms of full-time job offers and income. Getting an MBA is great, but it’s expensive, so I needed a solid return. I did my research into Foster, and found that all the faculty members had great reputations or had previously taught at Ivy League schools, but the tuition was only half as much. And Seattle is located near almost every major tech company in the world. Emotionally, I was a University of Washington undergraduate, and during that time, I really fell in love with the school and the city of Seattle. There’s just so many things to do here; there’s a great variety of restaurants. People here are really cosmopolitan — really welcoming of other cultures, which is especially important for me as an international student. The other schools I was admitted to have huge classes. I really love the small program size here because I can actually connect and form meaningful relationships with my classmates. Seattle is becoming the next Silicon Valley — Amazon has big ambitions for hiring, and so many Bay Area companies are setting up offices here. I accepted an offer to work for Amazon this summer as a PM intern. It’s the same internship I would’ve recruited for had I gone to either of those other schools. So I don’t think anything would’ve been different on that front, but I wouldn’t have had access to all the great experiences Seattle has to offer if I hadn’t come to Foster. The post These MBA Students Turned Down Top 10 Programs to Come to Foster appeared first on Foster Blog.